Mortal Kombat 11 is set to hit the Xbox One, PlayStation 4, Nintendo Switch, and PC on April 23rd, and you can fully immerse yourself in the game thanks to this offically licensed Klassic MK Kandle. It smells of blood, sweat, and tears, which will no doubt heighten the experience - but we've seen the character trailers. Apparently, the scent of exploding vital organs was a little too difficult to pin down. 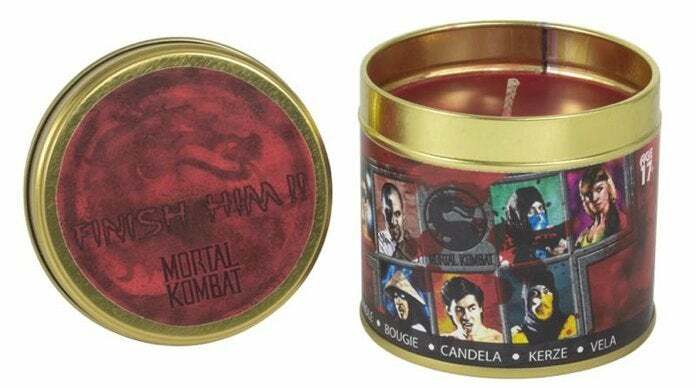 The Mortal Kombat candle is available to pre-order right here for $16.99 with shipping slated for mid-April. In addition to the blood, sweat, and tears scent, the candle also features classic Mortal Kombat character selection imagery and a burn time of 40 hours. On a related note, the Mortal Kombat 11 beta test is slated to begin March 27th at 11:00 am EST (8:00 AM PST), and you can get in on it by pre-ordering the title for the PlayStation 4 or Xbox One. Note that the game is covered by Amazon's pre-order guarantee, so you won't be charged until it ships and you'll automatically get any discounts that occur between the time that you order and the release date. A trailer for the beta is available to view below.